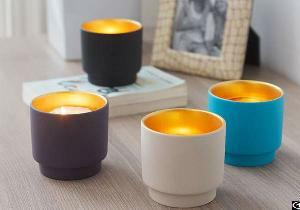 jars, the candle light will be refected by the wall of candle cup. It is a nice home decor item. It can also be a nice item as gift for any age range. Three colors are available.